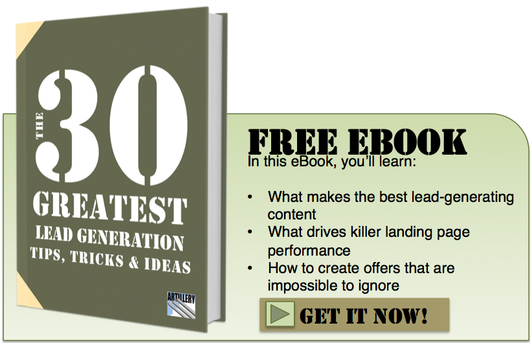 Are you actively pursuing B2B lead generation but still not getting results? You might be fishing without bait. Here’s how to catch the big ones. Deep sea fishing is big business. Fully-equipped and provisioned charter boats can cost a few million dollars. But without bait, not many fish will be caught. And yet, many companies are approaching lead generation like a professional fishing charter boat without any bait. Companies will spend a lot of money on website redesigns, salespeople salaries, sales training, sales conferences, direct mail, advertising, promotional products, travel, golf outings, booze and strippers and still see their sales pipeline drying up. That’s because they are approaching lead generation like they did when Bill Clinton was inaugurated over 20 years ago. Before the widespread use of the Internet. Back then, when a B2B buyer wanted to research a product they had to go to the seller to get information. The salesperson would then use that information as leverage to educate and guide (or strong-arm) the prospect toward a closed sale. Buyers always hated that but had to tolerate it. That is, until the Internet came on the scene and started to provide buyers an information alternative to sales people. Over time, instead of having to endure the seller’s process, buyers could research nearly everything online (product information, pricing, reviews, etc. ), and then contact the seller when they were ready to make a decision. This transformation has been borne out in research. CEB and Forrester estimate that B2B buyers are now 60% to 90% through their purchase before they first reach out to a vendor. And thanks to technology, customers can avoid unwanted, interruptive marketing messages. Be honest – have you ever not answered the phone because it was a sales call? 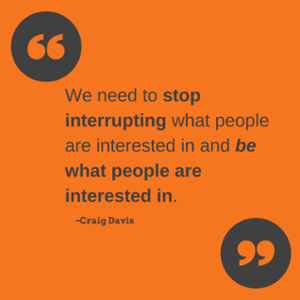 So the buyers don’t want to talk to you until they have more information and you can’t interrupt your way into their lives. What’s a hard-charging sales organization supposed to do? The most effective lead generation strategy now is to get found while your buyer is doing online research about a problem (or an opportunity). This involves publishing content on your websites that is helpful, educational (and even entertaining) and that addresses a pain point for your prospect. This is what content marketing is all about. Helping to fuel search engine optimization (SEO) which helps your company get found by more prospects just as they are looking for information. …and best of all, it generates quality leads for less money (when compared to more traditional marketing). 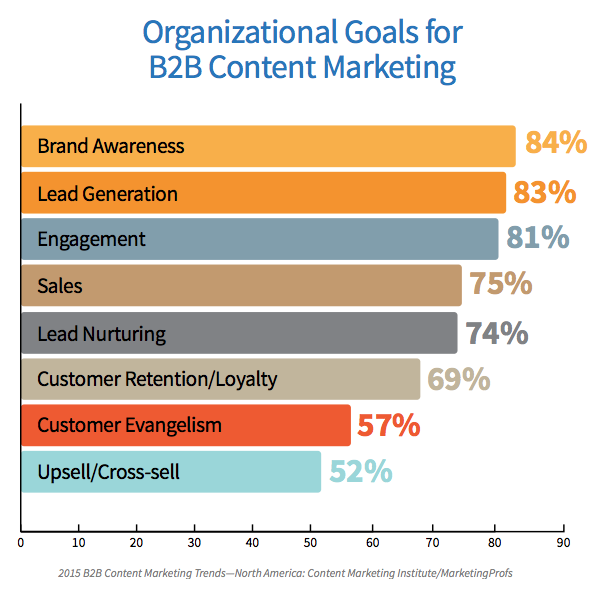 In the B2B Content Marketing 2015 Benchmarks, Budgets and Trends – North America study byContent Marketing Institute and MarketingProfs, organizational goals align with these benefits. But there’s a catch. Your content has to be interesting to your prospect. If your content is largely promotional, all about your company and products and not focused on your prospect, the fish won’t bite. Content comes in all forms. And most companies already have more content ingredients on hand than they realize. 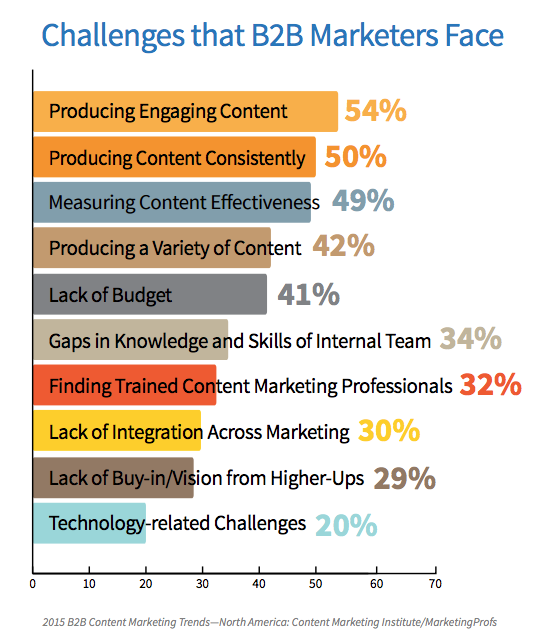 What’s the biggest concern for companies about throwing a line into the content marketing water? It centers around producing enough content. Not surprising, this move to content marketing has increased the demand for good writers. That’s why many former journalists are finding their way to marketing. And why growing numbers of Journalism and English majors are getting hired for marketing jobs. But you don’t need to hire a newsroom of writers. An entire content production industry has risen in response to the demand for even the smallest companies who need to produce content. Companies like Writer Access, Zerys and Scripted are helping companies fill the need to produce quality content. 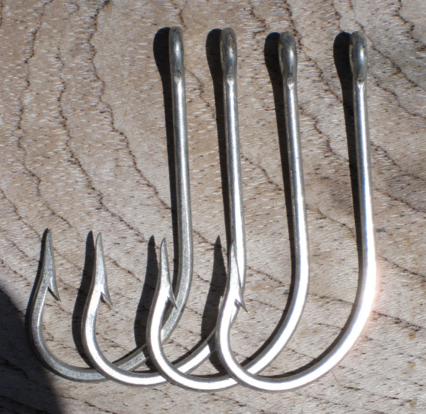 So when you’re outfitting your lead generation fishing boat to catch the big ones, don’t forget to pack the content bait.